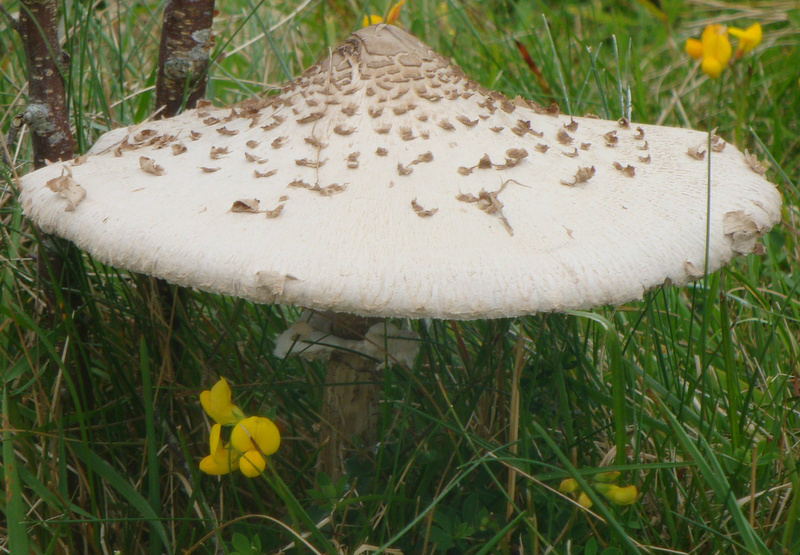 In a corner of our garden for waifs and strays is a family of mushrooms and toadstools. They have made it their home in and around some rotting wood and we call it Kingdom Fungi. Life in Kingdom Fungi is quite laid back and no-one moans about there being little sunlight, as they don’t require it to make energy for themselves. These colourful Fungi, made up of around 90% of water, contain more potassium in a single Portabella than in a banana! And, they help us in the reduction of cholesterol and blood pressure to name just a few important things. As a family, we often add mushrooms instead of meat, to our meals. Like a mycophagist, I often take a basket and collect mushrooms from the woods, just as my father taught me. But some, despite looking like your average mushroom, can be poisonous so care should be taken and hands should always be washed afterwards. Some mushrooms glow in the dark (I have never seen them) due to a chemical reaction called bioluminescence which produces a light known as foxfire. Apparently, these fungi have been used as torches in the dark woods. Long ago, before the invention of synthetic dyes, Kingdom Fungi were used for dying wool and other natural fibres. Vivid colours were produced from the organic compounds of the mushroom dye. So it’s a fact, that my kind and unassuming husband and I have our very own amazing fungi family living right under our noses. And for me, as I pass by their Kingdom, I cannot help but imagine a world of ‘little people’ living beneath them!